Spintronics is a new field of electronics, using electron spin rather than charge. Scientists have shown that a conventional electrical insulator can be used as an optimal spintronic device. 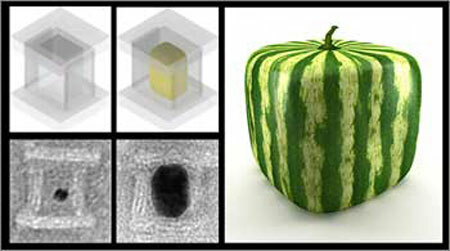 Nanoparticles can act like liquid on the outside and crystal on the inside. 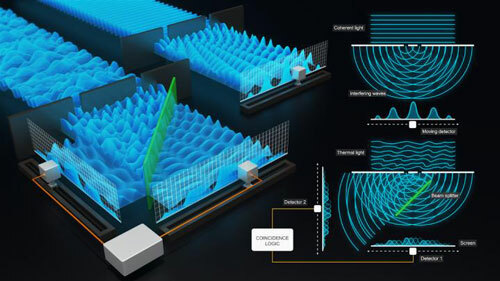 Operating in the fuzzy area between classical and quantum light. 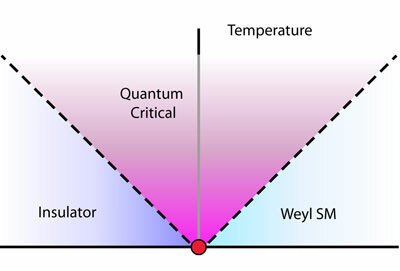 Neutron scattering experiments have revealed the existence of quantum selection rules in molecules, the first experimental confirmation of its kind. Small molecules such as water and hydrogen were inserted into C60 buckyballs to form rare compounds ideal for testing the predictions of quantum theory. Similar confinement techniques could open the door to new insights about the quantum properties of molecules by providing a unique testing ground for quantum theory. Device is used to monitor brain pressure in lab mice as prelude to possible use with human patients; future applications of this pressure-sensing technology could lead to touch-sensitive 'skin' for prosthetic devices. When researchers set out to investigate a method to control how DNA moves through a tiny sequencing device, they did not know they were about to witness a display of molecular gymnastics. A new technique makes it possible to quickly detect the presence of drugs or to monitor certain medical conditions using only a single drop of blood or urine, representing a potential tool for clinicians and law enforcement. 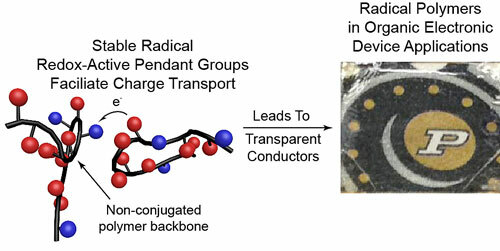 An emerging class of electrically conductive plastics called 'radical polymers' may bring low-cost, transparent solar cells, flexible and lightweight batteries, and ultrathin antistatic coatings for consumer electronics and aircraft. Theoretical calculations predict an exotic state of matter in which electrons barely interact with each other. Early results demonstrate the entire complement of building blocks for integrated circuits, along with various sensors and actuators with relevance to clinical medicine, including most recently intracranial monitors for patients with traumatic brain injury. 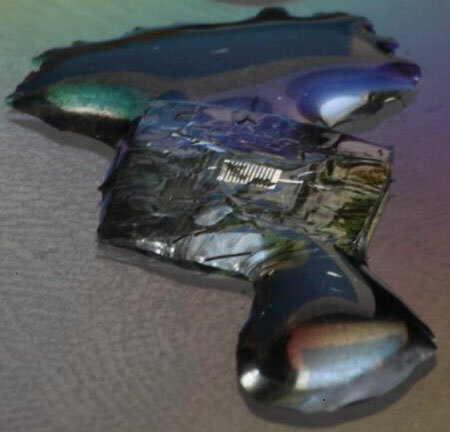 The advances suggest a new era of devices that range from green consumer electronics to 'electroceutical' therapies, to biomedical sensor systems that do their work and then disappear. 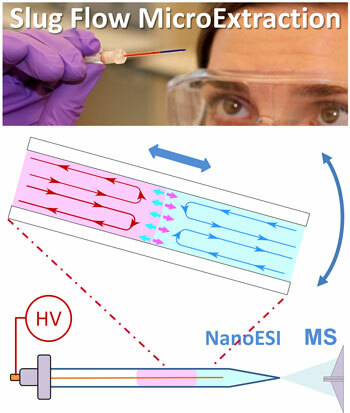 Using a common laboratory filter paper decorated with gold nanoparticles, researchers have created a unique platform, known as 'plasmonic paper', for detecting and characterizing even trace amounts of chemicals and biologically important molecules - from explosives, chemical warfare agents and environmental pollutants to disease markers. DNA's programmable assembly is leveraged to form precise 3D nanomaterials for disease detection, environmental testing, electronics and beyond. New laser-based method helps doctors determine how well mucus oozes through the lungs, potentially leading to better treatment of certain lung diseases. 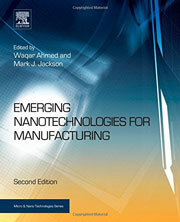 In the second edition of Emerging Nanotechnologies for Manufacturing, an unrivalled team of international experts explores existing and emerging nanotechnologies as they transform large-scale manufacturing contexts in key sectors such as medicine, advanced materials, energy, and electronics. 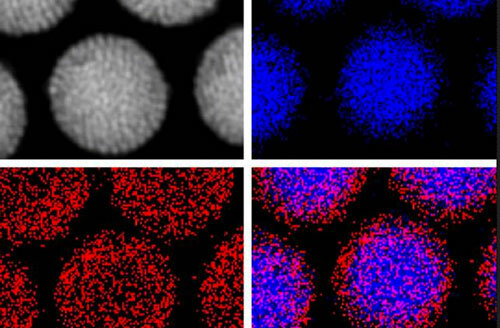 New method produces particles that can glow with color-coded light and be manipulated with magnets. Scientists have developed a slurry-based process that can revolutionize carbon capture. The slurry, consisting of a porous powder suspended in glycol, offers the efficient large-scale implementation of a liquid while maintaining the lower costs and energy efficiency of solid carbon-capturing materials.